Google is finally letting users download their own Gmail and Google Calendar data, a feature that arguably should have been available all along. Especially since Google acknowledges as much in the blog post announcing this feature. "Having access to your data and being able to take it with you is important, especially if that data contains precious memories like old love letters, your first job offer, or that 100-message thread discussing the merits of various cat videos," Google software engineer Nick Piepmeier wrote. The new ability to export Gmail and Calendar data was rolled into Google's Takeout service. Google Takeout lets users export and download the data they have stored in Google's various online services, now including Calendar and Gmail. 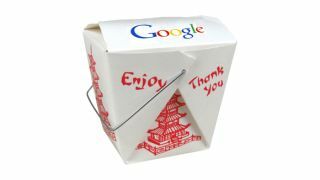 Previously Takeout applied to other Google entities, like Google+, but not from these two vital spots. When exporting Gmail and Calendar data "you can download all of your mail and calendars or choose a subset of labels and calendars," Piepmeier explained. The service also now allows users to create and download a single comprehensive archive file containing data from all their Google products, including Gmail, Calendar, Google+, YouTube and Google Drive. This is convenient for users who want to back up their Google data or transfer it to a competing service. The ability to export Calendar data is available now, and Gmail exports will roll out over the next month, according to Google. Google can't catch a break - but does it deserve one? Another EU regulator says Google's data collection breaks the law.